Alderney would be worse off if it became independent, a Guernsey minister has warned. The islands have been linked since an agreement in 1948 gave Guernsey responsibility for many government services. Higher living costs in Alderney have raised questions over the value of the alliance. 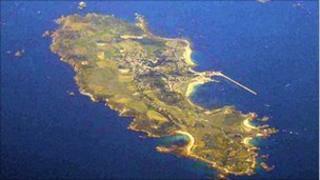 But Guernsey Treasury and Resources Minister Charles Parkinson said the arrangements benefited Alderney. Before World War II, Alderney, which had a population of about 1,400, was self-sufficient thanks to farming, fishing and quarrying. Following the war, upon hearing of the condition of the island after the German occupation, many of the islanders did not return, leaving only 600 people on Alderney. The Government of Alderney Law 1948 organised the construction and election of the States of Alderney, the justice system and taxation. Mr Parkinson said: "If it was the democratic wish of the people of Alderney to review this I don't think we would be able to resist having that conversation. "We can't enslave the island of Alderney if they don't want to be part of the club. "It's very clear to me that Alderney benefits financially from these arrangements. "I think if the people of Alderney looked at the situation in the cold light of day they would realise that it would not be in their interest to tear up the 1948 agreement. "That's an assessment for them to make." The 1948 agreement: What is it?